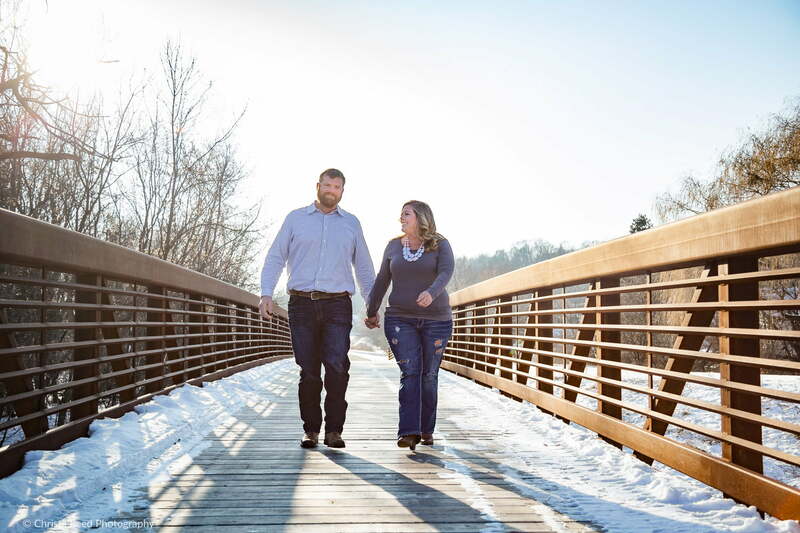 People often ask me how to plan an awesome winter engagement shoot in Carver Mn or other similar places. I like to have you pick a place you love, and I have faith that the weather will be agreeable. I keep poses comfortable and intimate in the winter. 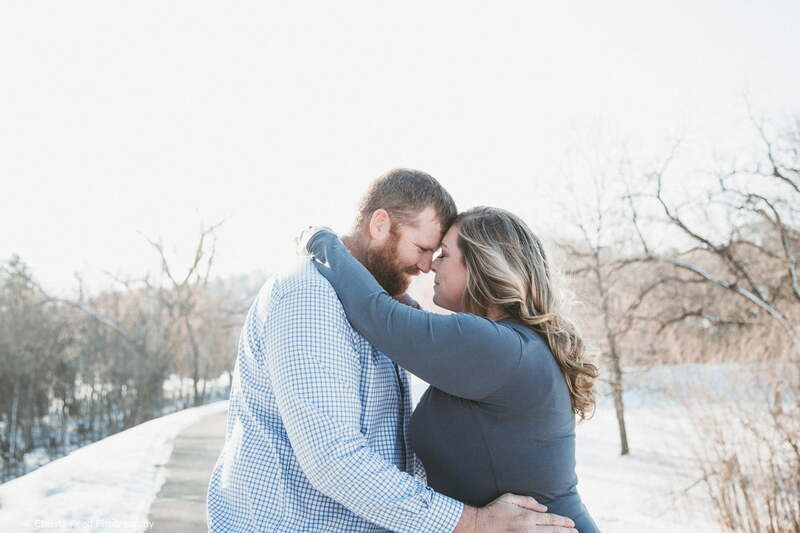 Certainly, you don’t get cold if you hold each other close (wink!). I also want you to laugh a little. Laughter is warmth. If you don’t wear a jacket, I don’t either. I do this because then I know exactly how cold you are and if we need to take a break to warm up. That’s the way this shoot went down. Ginger’s response to these pictures was “I love them! Even got tears!! Thank you, Thank you, Thank you!” Mission accomplished! 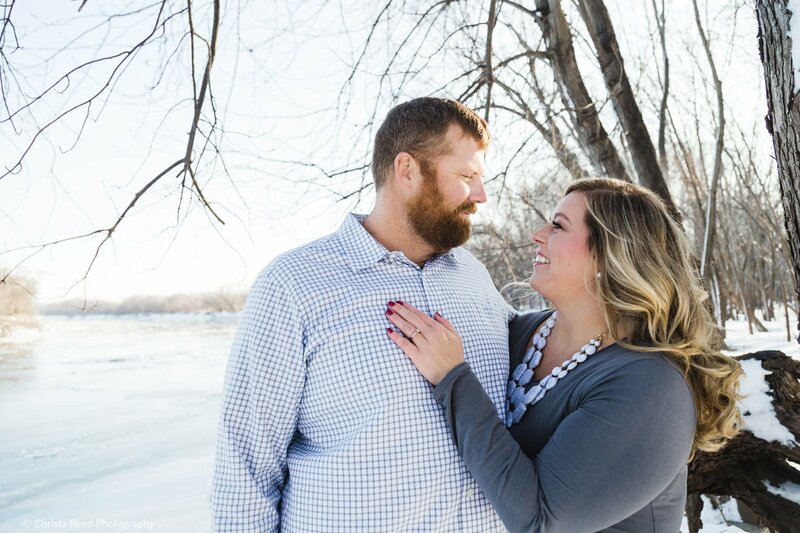 Before our Sunday afternoon engagement shoot in Carver Mn, I met Ginger and Travis at Lisa’s Place where they were watching football and having a drink. A really good, relaxing way to start off Sunday afternoon. We ventured down a little hill into the Minnesota River Valley, where the snow was fresh and the afternoon light glowing. This spot on the river bank had an amazing view, and a natural little corner made by a fallen tree. 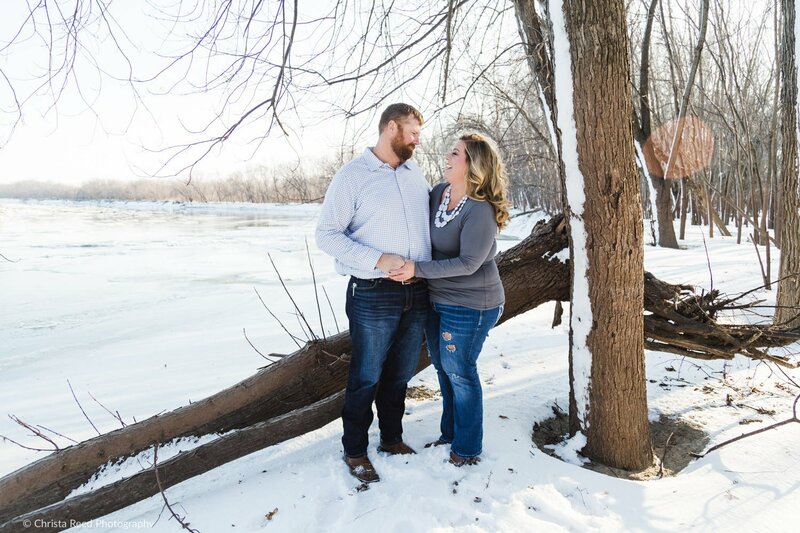 You might stand right here on a date and marvel at the river. 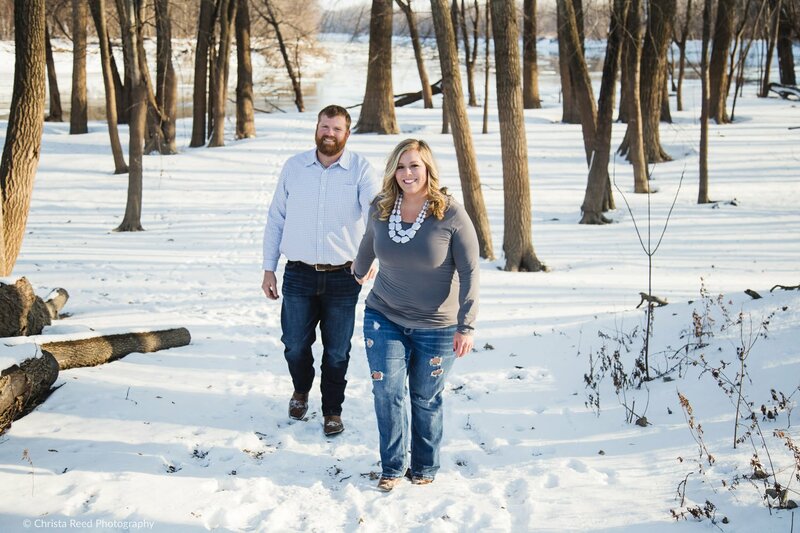 Winter is always a little challenge for engagement portraits, especially right before Christmas. You have the family to visit, things to accomplish, and probably want to be home by dinner. Plus, you don’t want to miss too much of the football game. We shoot in the late afternoon, so those things can happen. The sunlight is a little more direct, but I know how to make that work. 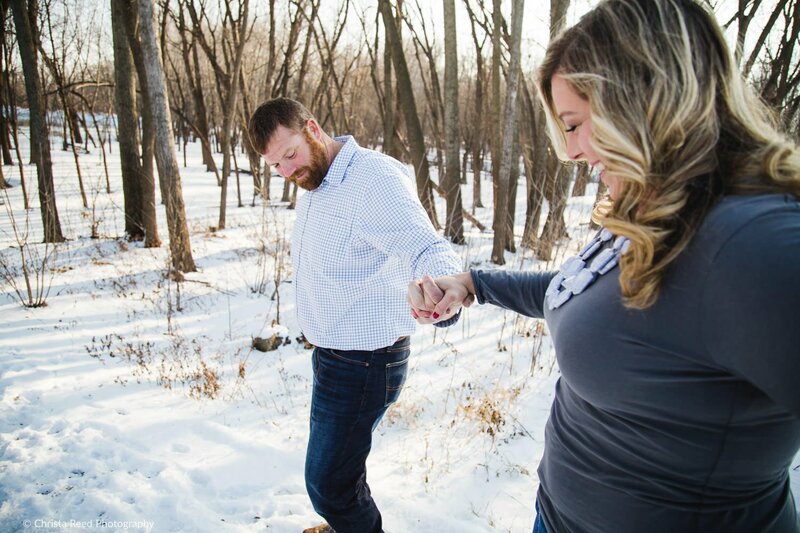 I love how that wintery blue in the sky and snow shadows comes out to play in these pictures. 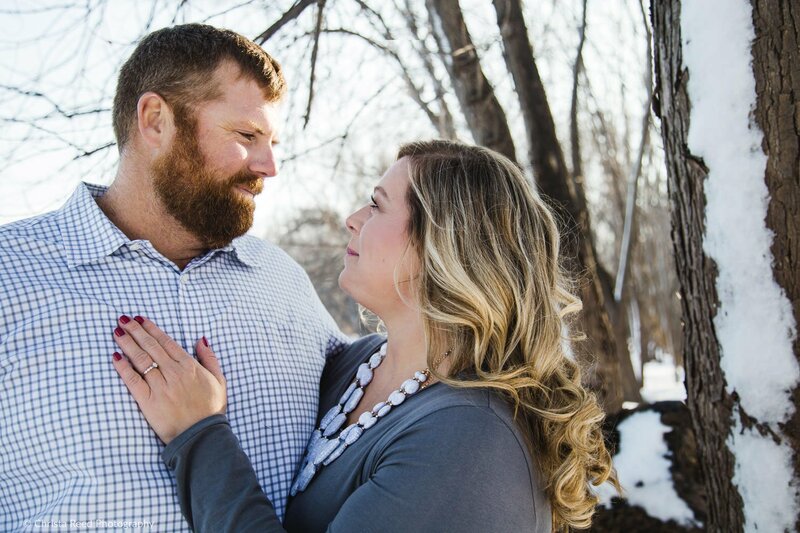 Wedding Planning with your photographer in person. After we finished up out shoot we went back to Lisa’s bar to warm up and spend some time talking about the wedding schedule. This was the first time the three of us had a chance to sit down and really delve into the details of the couple’s wedding. 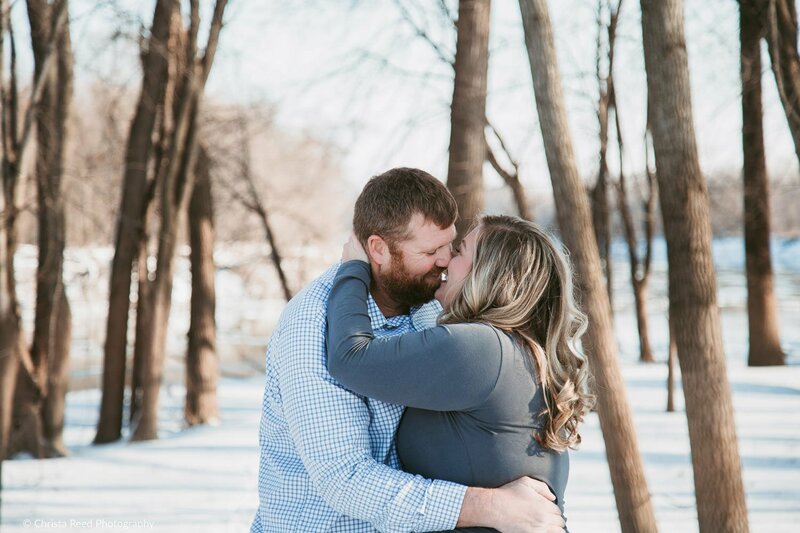 It was a fun day to take a break from the craziness of the holidays and give this couple a chance to focus on each other. 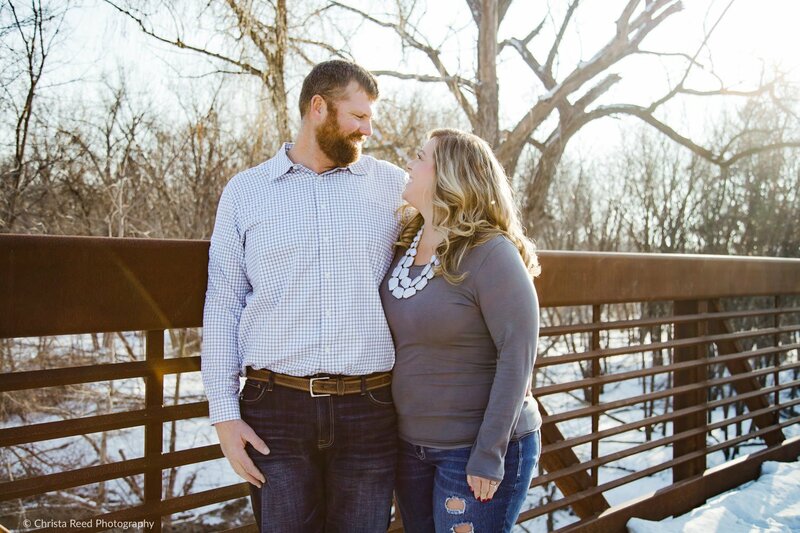 I love being able to connect with couples outside of email and phone calls. 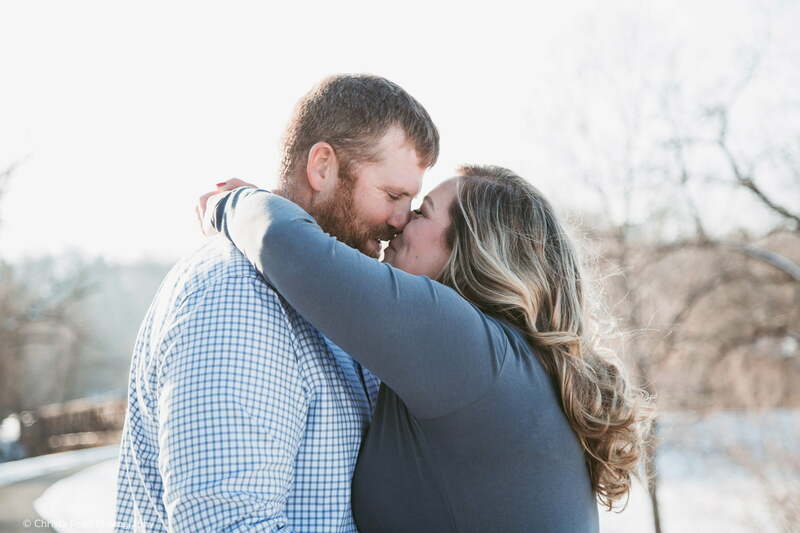 Even if it’s just for one or two in-person meetings throughout your wedding planning process, it really makes a difference to have that in-person time, and I think it’s one of the best parts of being a wedding photographer. 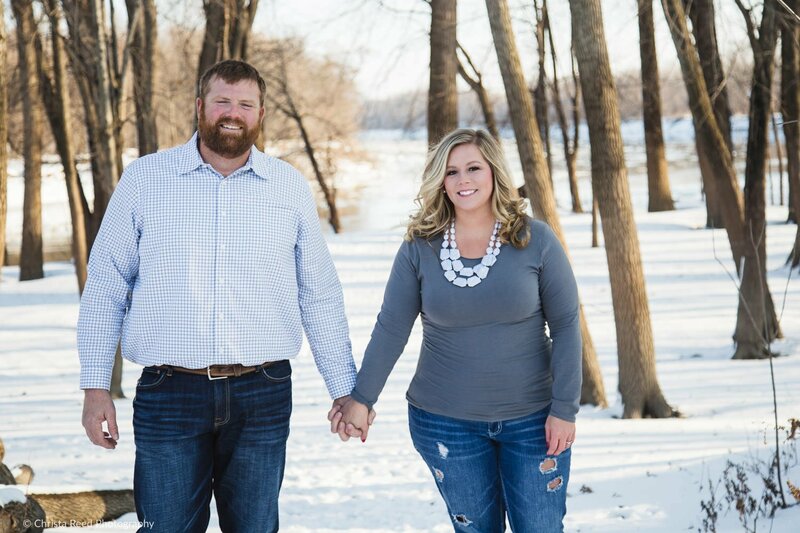 I’m an engagement and wedding photographer in Southwestern MN. 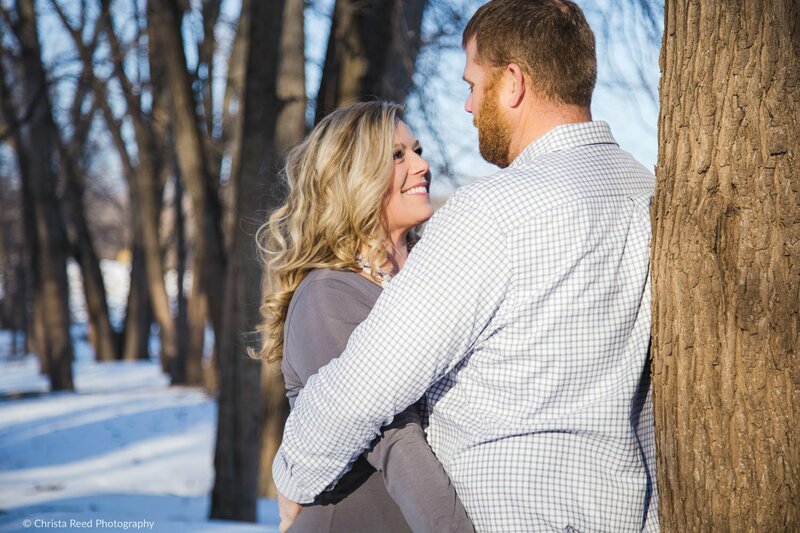 If you like what you see here and are planning a winter engagement shoot in Carver Mn or nearby, you can contact me via email here.